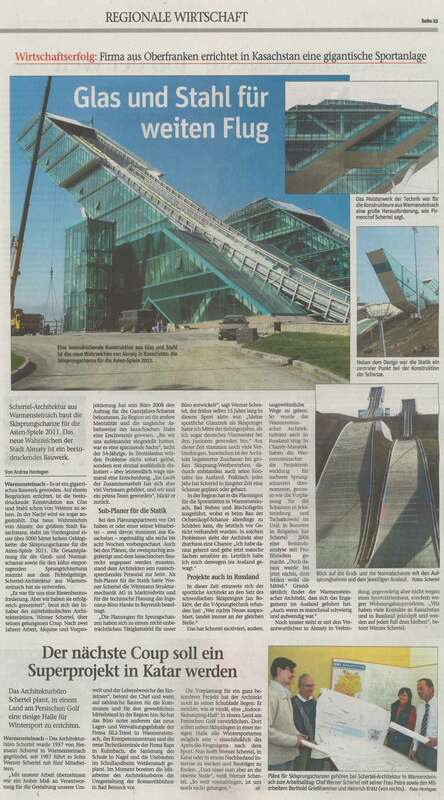 As an architect and other construction professionals from Northern Bavaria came to Kazakhstan to build ski jumps. 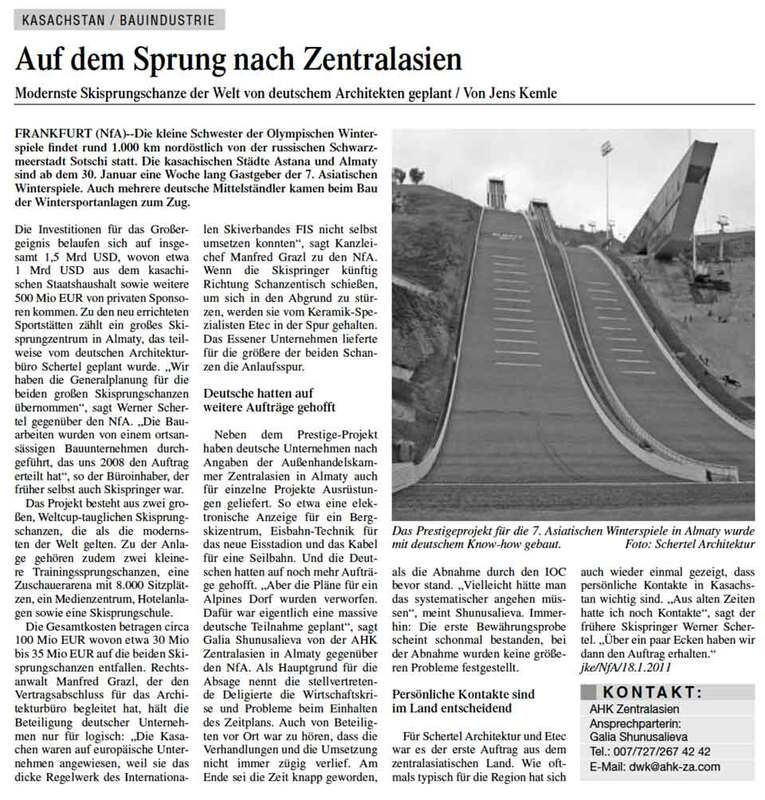 Warmensteinach - The mission, which Werner Schertel competes at the weekend is not necessarily obvious for a businessman from the Fichtelgebirge From Warmensteinach in generally sleepy northeastern Bavaria, the architect makes in Kazakhstan, in which millions of city Almaty.. 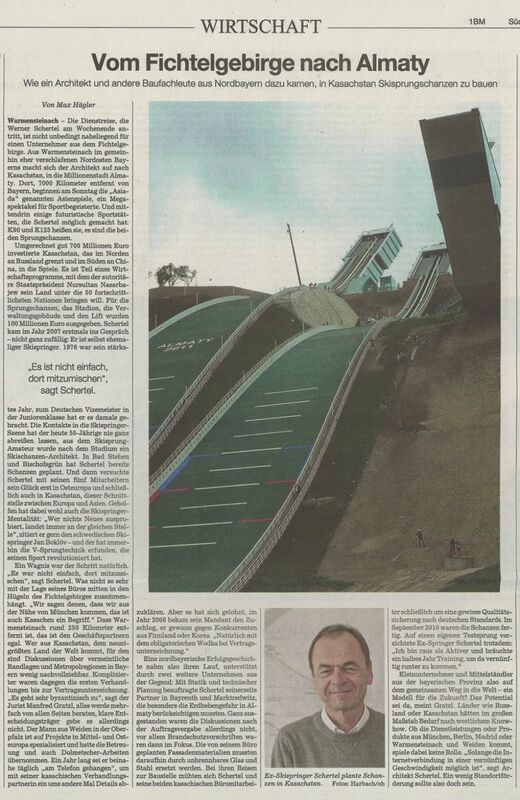 There, 7000 Kllometer from Bavaria to begin on Sunday Asiada "said Asian Games, a mega-spectacle for sports enthusiasts and middle some futuristic sports venues, the Schertel has made possible.. K90 and K125 are their names, these are the two jumps. FRANKFURT (NfA)—The 7th Asian Winter Games took place about 1,000 km north east of Sochi, the 2014 Russian Olympic host city on the Black Sea coast. A smaller version of the Olympic Winter Games, this week-long event was hosted by the Kazakh cities of Astana and Almaty, starting on January 30. Several German medium-sized businesses were involved in the construction of the site’s winter sports facilities. To enlarge please click on the article.